When it comes to gardening, “What’s a sucker?” is not an uncommon question . Actually, it’s an excellent question! 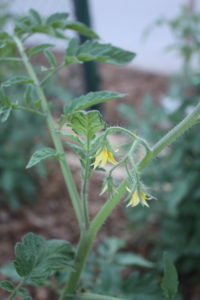 Unlike determinate bush tomatoes, gardeners who prefer stake tomatoes automatically grow indeterminate plants. To achieve an abundant crop of large tomatoes, allowing up to five vines to grow per stake is most adequate. “Indeterminate” implies that the stalk will continue to grow until frost. To induce tall, productive vines, it’s important to remove the suckers. By regularly removing them, the vines will grow tall (up to 7-8 feet) and easily produce 50-75 large slicing tomatoes. By removing the suckers, the food produced by the plant will go into making this possible. The sucker is easily identified as it grows between the main stem and each leaf which grows from the stem. The sucker is just beneath the flower. It can be easily removed (rubbed off) by time it reaches a half inch in length. Leaving it until it grows larger merely robs the plant of necessary nutrients for fruiting. Removing the suckers encourages the plant to continue to grow taller and flower more. Limiting the number of vines per state allows for good air movement, plenty of sunlight and effective pollination. The attached photo shows the three significant parts of the plant, i.e. the main stem growing upward to the right with the leaf growing off to the left. The sucker is between the leaf and main stem just below the flower. It has been allowed to grow to this length so it can be easily seen. Walking through one’s tomato patch weekly to remove the suckers is a good practice. At the same time, the growing vines can be tied to the main stake which needs to be very substantial (e.g. steel post) to hold the resulting bumper crop! Of course it is assumed that a low nitrogen, high phosphorous fertilizer is also used. DUNNVILLE—Shown L-R representatives from The Big Mudcat Committee Dave Welch and Gary Schumacher presenting a cheque in the amount of $2500. to Debbie Thomas, President of Dunnville Horticultural Society (DHS). The proceeds will be used towards the Dunnville Centennial Park Fountain (now Monument) rehabilitation project. Debbie Thomas, Pres. of DHS, said they have almost reached their fundraising goal, and DHS is so grateful to DCS, the community and Haldimand County for supporting this project. Work on site is ongoing with a re-dedication celebration planned for Sat. Sept 23rd 10am-noon. Plans include a 1967 theme in honour of the Park and Fountain’s 50th Birthday. Please visit our website www.dunnvillehortandgardenclub.org and facebook page for regular updates. Come join us as we celebrate the rededication of Centennial Park Fountain! Lots of activities for the whole family. June flew by with lots of activity by the Dunnville Horticultural Society (DHS) Town beds and planters were maintained by volunteers who tried (like everyone else) to stay ahead of the weeds in an unusually rain filled-month. We cancelled our June program so members could take part in GrandErie Garden Centre’s first Annual Garden Party. Mark Cullen was the special guest speaker, along with refreshments and amazing door prizes. DHS was given a beautiful location to promote our Society throughout the evening, as we happily signed up new members. The evening was enjoyed by all and well attended. The night’s entrance proceeds were given to DHS and will be used towards the Centennial Park and Fountain Rehabilitation project. If you haven’t been to Centennial Park lately you are in for a surprise. The structural work on the fountain has just been completed and the living wall of ivy has been installed. Thanks to Ed Zylstra from Dunnville Silo Limited for all is help. The original raised relief panels were restored in May by Christian Corbet and Lukas France and the lighting has now been added. Thanks to Hines Electric for their help. DHS volunteers have filled the four beds surrounding the structure with beautiful red and white begonias donated from Konkle Greenhouses. Concrete pads have been poured awaiting installation of two benches. DHS has also added grasses beneath Muddy, and is working to restore the pollinator gardens in front. 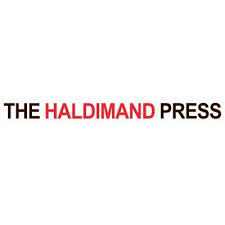 Look for further improvements to the park and pathways throughout the summer by Haldimand County. 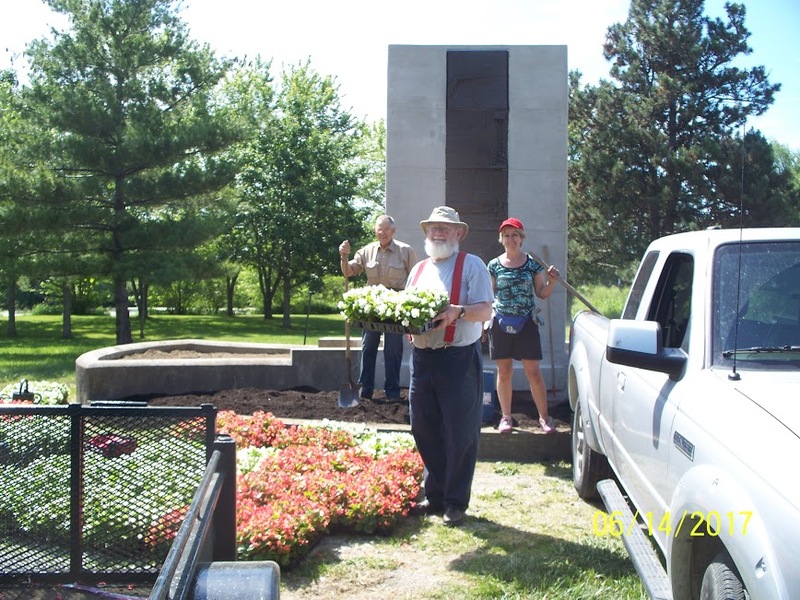 No summer programs are scheduled for DHS, but behind the scenes volunteers are tending the beds and planning the Rededication Celebration for Centennial Park and Fountain scheduled for Saturday September 23rd. Please visit our website www.dunnvillehortandgardenclub.org and facebook page for regular updates.